As wack the blunt, divide the money, etc. As give me my wack, that is, my due part. Synonymous with bender, and used in the same manner. When any of the traps or runners have a private information against a family person, and are using means to apprehend the party, they say, such a one is wanted. It becomes the latter, on receiving such intimation to keep out of the way, until the stink is over, or until he or she can find means to stash the business through the medium of Mr Palmer, or by some other means. By getting on board unperceived, generally in the night. The water‐sneak is lately made a capital offence. To wear it upon a person, meaning to wear a nose or a conk, is merely one of those fanciful variations so much admired by flash people. As a wedge-feeder which is a silver spoon, etc, but silver coin, as well as silver plate, are both comprehended under the name of wedge. See ridge and speak to. Often done by young or timid depredators, in the hope of escaping detection. As, an apprentice or shopman will weed his master’s lob, that is take small sums out of the till when opportunity offers, which sort of peculation may be carried on with impunity for a length of time. Experienced thieves sometimes think it good judgment to weed a place, in order that it may be good again, perhaps for a considerable length of time, as in the instance of a warehouse or other depôt for goods, to which they may possess the means of access by means of a false key. In this case, by taking too great a swag at first, the proprietors would discover the deficiency, and take measures to prevent future depredation. To weed the swag is to embezzle part of the booty, unknown to your palls, before a division takes place, a temptation against which very few of the family are proof if they can find an opportunity. 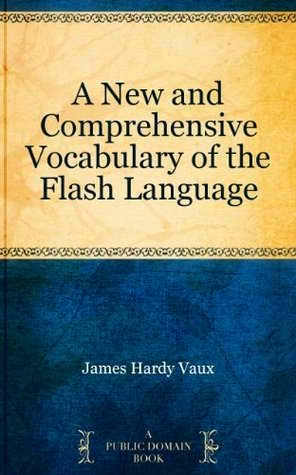 A flash cove on discovering a deficiency in his purse or property which he cannot account for, will declare that he (or it, naming the article), has been weeded to the ruffian. When speaking of any person, place, or property that has been weeded , it is said ‘ weeding dues have been concerned’. meaning, of course, forty pounds. To well your accomplice, or put him in the well is explained under the word ‘ garden’. As, ‘ Don’t you whiddle about so and so’, that is, ‘ Don’t mention it’. One who is not fit to be trusted with a secret. A man transported for his natural life is said to be lag’d for his wind or to have knap’d a winder or a bellowser , according to the humour of the speaker. To work upon any particular game, is to practise generally, that species of fraud or depredation. As, He works upon the crack , meaning ‘ He follows housebreaking’, etc. An offender having been detected in the very fact, particularly in cases of coining, colouring base-metal, etc, is emphatically said to have been grab’d at work , meaning to imply that the proof against him being so plain, he has no ground of defence to set up. Such a character is called also a gully, which is probably an abbreviation of Gulliver, and from hence to gully signifies to lie, or deal in the marvellous.